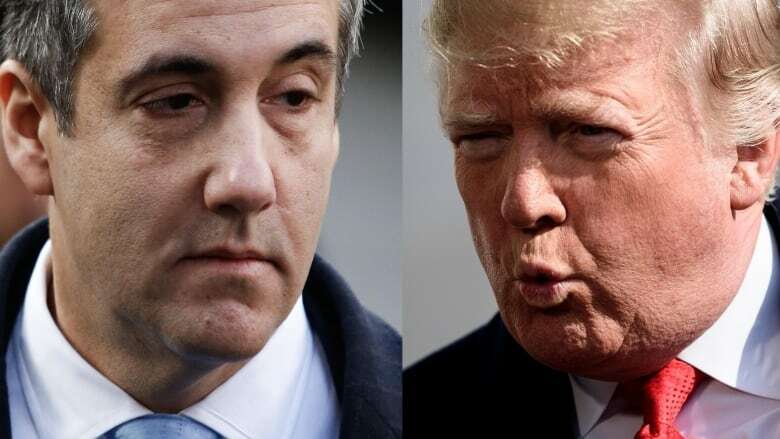 Reports that Donald Trump instructed his lawyer to lie about his bid for a big Russian tower have one former federal prosecutor warning that it could bring the U.S. president to a new legal low. Update: Special counsel Robert Mueller's office on Friday issued a rare public statement disputing the accuracy of BuzzFeed News' report. BuzzFeed spokesperson Matt Mittenthal said the publication stands by its reporting. Read more on CBC News. The allegations against Donald Trump have reached new heights — and now, things may be starting to teeter. 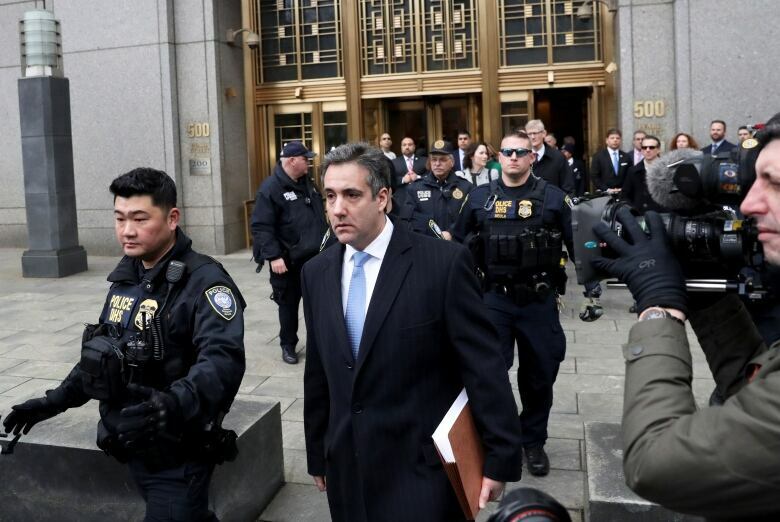 Citing law enforcement sources, BuzzFeed News reports that U.S. President Donald Trump instructed his former lawyer, Michael Cohen, to lie before Congress. According to the sources, Cohen told special counsel Robert Mueller that he regularly briefed Trump and his family on the Trump Tower project in Moscow, even as Trump said he had no business dealings with Russia, and that Trump personally instructed him to lie about the timing of the project in order to obscure Trump's involvement. The tower was never built and the White House called the story "categorically false." Former U.S. federal prosecutor Elie Honig says the alleged cover-up could raise the stakes both for Trump and his administration, "if true." Here is part of Honig's conversation with As It Happens host Carol Off. From a prosecutor's point of view, how serious are these latest allegations for Donald Trump? So everything that we say regarding this story, I think, needs to be prefaced with the words "if true." If true, these charges are about as serious as it could get for President Trump. If this is proven out, we have a clear-cut example of the president commiting a federal crime. I think multiple federal crimes, in fact, while in office. OK, so many times we have asked this question. But here it goes again — so, if true, would this be grounds for impeachment? Impeachment is a political question inherently. But, of course, impeachment under our constitution is based on high crimes or misdemeanours. And so the question, I think, here is — if you have something that's proveable a crime, how could Congress not act on it? The consensus, from what I gathered before this, is that there wasn't a whole lot of appeitte for impeachment. History shows us that that tends to backfire sometimes on the impeaching party and rally support to the person being impeached. I'm referring here specifically to the Bill Clinton situation. But, on the other hand, there also comes a point where if you're a Congressperson and you're faced with clear evidence that the president has commited a serious federal crime while in office, you're not doing your job if you're just turning your back on it. Was it against the law for Mr. Trump to be pursuing the building of Trump Tower in Moscow? There's actually nothing illegal about that. But what is illegal is a couple of things. First of all, if he was part of any plan to lie to Congress about it or to lie to federal investigators about it — that's the crime here. The crime here would be ... instructing, or encouraging, or conspiring with Michael Cohen for him and perhaps others to give false testimony. The other thing I would say is, if this is true, this is all part of the bigger picture of collusion, which could involve other crime — conspiracy crimes, hacking crimes, crimes to recieve foreign election aid. It's a crime under our federal law to receive election aid from foreign interests. And so I think this Moscow project goes to the big question of the why of the collusion. Why did Donald Trump want to appease the Russians? Because he needed governmental approvals in order to build this monstrous skyscraper in Moscow. And why would the Russians want Trump to win? Because they felt that they had something on him — leverage. Whether it was financial or otherwise, I think there's still more to be learned. Kevin Corke, <a href="https://twitter.com/FoxNews?ref_src=twsrc%5Etfw">@FoxNews</a> “Don’t forget, Michael Cohen has already been convicted of perjury and fraud, and as recently as this week, the Wall Street Journal has suggested that he may have stolen tens of thousands of dollars....” Lying to reduce his jail time! Watch father-in-law! I just want to understand a bit of a timeline here. This business deal, if it's true, was still going on while Mr. Trump was campaigning for president. He was telling Americans that he believed it was time to make nice with the Russians, that they needed to patch up relations with them. What does that say? The timing is crucial and really goes to the entire impetus to lie about it. The story that Michael Cohen told Congress, and apparently now, according to today's reporting, is that there was a larger effort to tell the same false story that the president was telling the American public, which is, "Don't worry about this Moscow deal — it was over as of January," which is shortly before the Iowa caucus. But, in fact, it now turns out, that deal was still being conducted well into the campaign into at least June of 2016. So you can see why the president wouldn't want the American people to know he's in active negotiations to try to build in Moscow because that could potentially compromise him. So Donald Trump certainly lied to the American public about it and at least one of his handlers, Michael Cohen, lied under oath about it. So the question now is, A) Who else lied to Congress, and it looks as if Donald Trump Jr. may have told a similar lie. And B) Who was in on the plan to come up with and execute this false story? Mueller, in Cohen’s sentencing memo: “Cohen described the circumstances of preparing and circulating his response to the congressional inquiries.” Meaning: Cohen told Mueller who was in on the lie about Moscow project and Mueller had enough corroboration to put it in writing. President Trump has responded to this latest story in BuzzFeed. He tweeted that Michael Cohen is "just lying" to reduce his jail time. How might Mr. Cohen's credibility problems effect the value of any evidence that he has to offer? It's all going to come down to credibility here and Michael Cohen absolutely does have credibility problems. He's a known liar. He's plead guilty to several counts that involve dishonesty and false statements. The real important part of that comes from the corroborating evidence and here, I think, we have some indications that Robert Mueller has significant evidence that backs up what Michael Cohen told him. Written by Kevin Robertson and John McGill with files from Associated Press. Interview produced by Kevin Robertson​. Q&A has been edited for length and clarity.